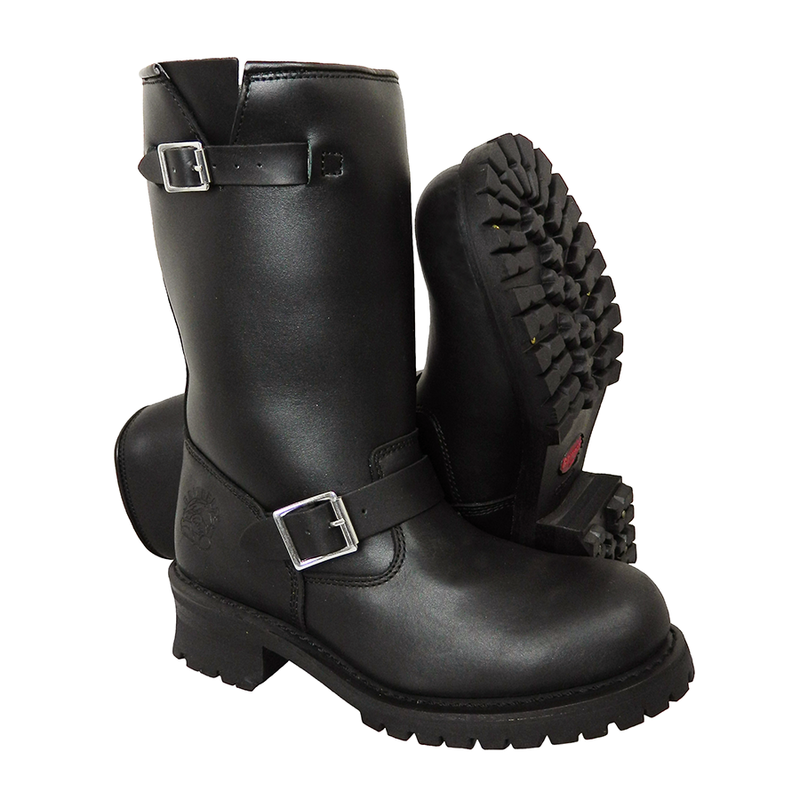 The ultimate classic style leather motorcycle boot constructed in the finest quality, supple black cowhide with a slight waxy finish, that has been formulated for those of you with a high instep. 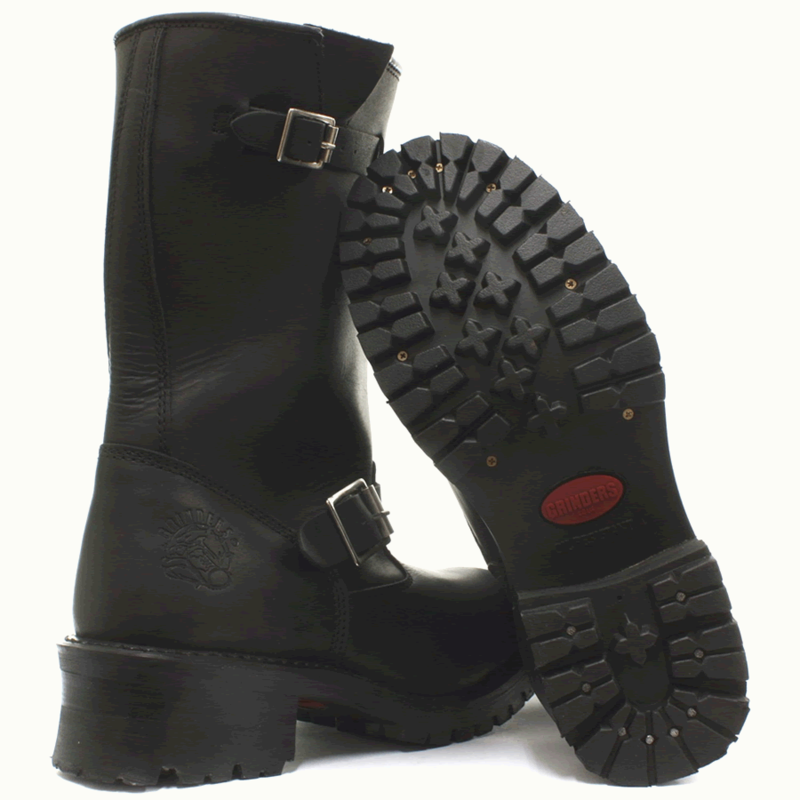 Very hard-wearing, good grip sole and great for people who normally have trouble fitting into a tall boot. 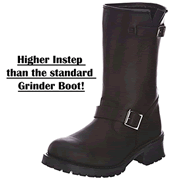 Please note: Unlike our Grinder boots, these are a high instep fit which people with a normal instep may find wide.